The Red & Blue Castle Combo combines the fun of our uniquely shaped bouncy castles with our popular inflatable slide. 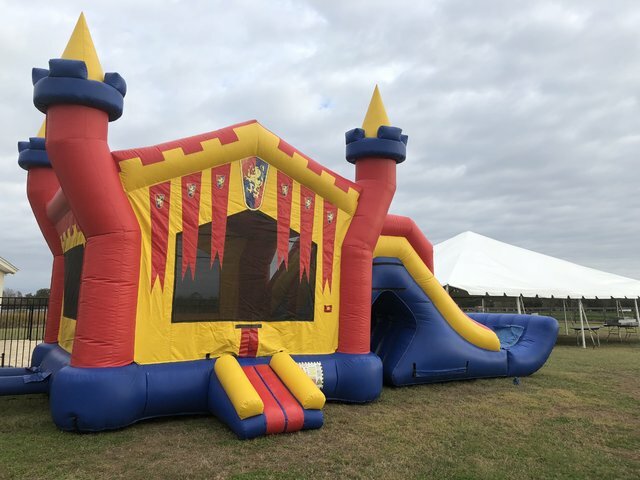 Your prince or princess can jump and play inside the castle-shaped bounce house before going down the attached inflatable slide! The bounce house features see-through mesh and an enclosed entrance to aid in adult supervision along with bright colors that will sure leave any child feeling like royalty!. Our Red & Blue Castle Combo is the perfect entertainment addition to any birthday party, family gathering, or other children's party! Ready to feel like royalty? Book today!